Lode Runner 2 was a computer game released in 1998 for Mac OS and Windows. It's a sequel to Lode Runner: The Legend Returns. It was the first installation of the Lode Runner series to have 3D graphics (they were really isometric-perspective 2d graphics, giving the illusion of 3D), groundbreaking for the series. In the game, players could play as a woman or a man, named Jake and Jane Peril according to the manual, but the player's default name was Digmo (which was changeable), with the usual goal of collecting gold to go to the next level, avoiding the Mad Monks along the way. However, instead of the usual sidescroller, players were able to move in six different directions on a freeform map (accounting for falling and going up and down ladders). 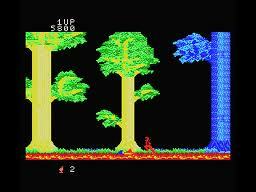 There were separate levels designed for cooperation, as well as Deathmatch in multiplayer mode. 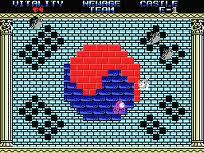 The game is an excellent example of the trap-em-up genre, which also includes games like Heiankyo Alien and Space Panic. 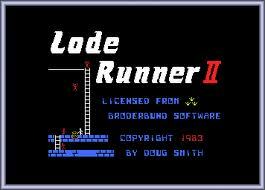 Lode Runner 2 was made by Presage Software and distributed by GT Interactive on the PC, and MacSoft on the Mac version. 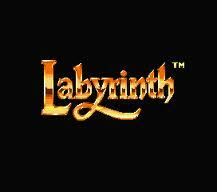 The disc, when put into an audio CD player, would play the score, which began on track two. 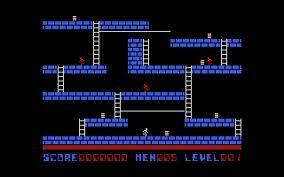 Lode Runner is a platform video game first published by Brøderbund in 1983. Unlike later platformers which rely on precision jumping and movement, levels in Lode Runner are puzzle-oriented. It is one of the first games to include a level editor, a feature that allows players to create their own levels for the game. This feature bolstered the game's popularity, as magazines such as Computer Gaming World held contests to see who could build the best level. Tozai, Inc. currently holds the intellectual property and trademark rights of Lode Runner.